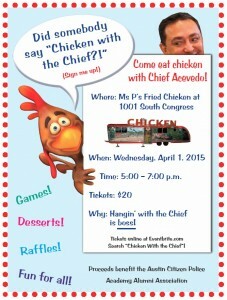 Ever wanted to eat fried chicken with Chief Acevedo? How about win a MagLite worth over $150? Then you should come to ACPAAA’s fundraiser on 01 APR 2015 at 5 PM! 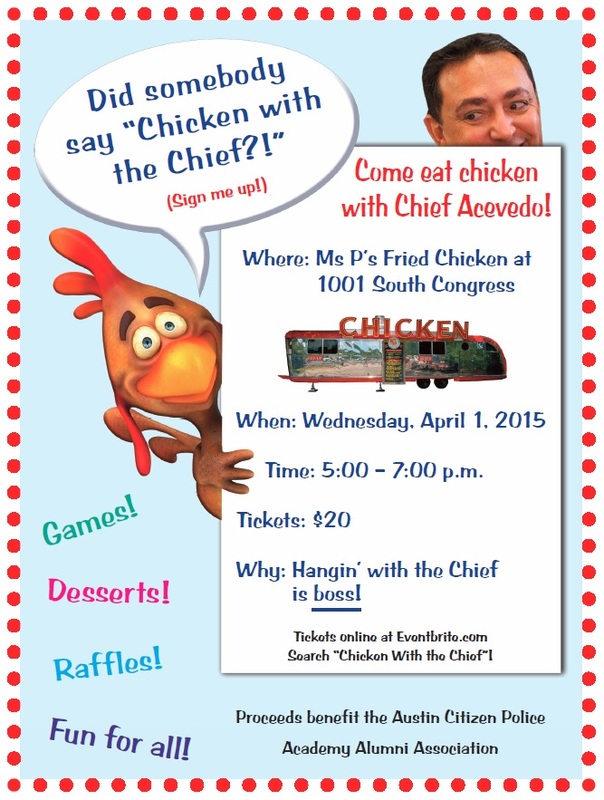 Chief Acevedo will be there and we will have a raffle for a MagLite that sells for over $150. All ages are welcome! Tickets are $20 in advance (purchasable through EventBrite) or $25 at the door.